Wishlists appear to be a very popular type of post within the blog world and it has been an extremely long time since I’ve made one so I thought a 4 dresses wishlist would make a fun post. I’m thinking of making this a regular feature of my blog by posting four items in a particular category that I wished I owned. I decided to start with dresses since they most accurately reflect my style. This is one of the sweetest and most beautiful dresses I have seen in a very long time. 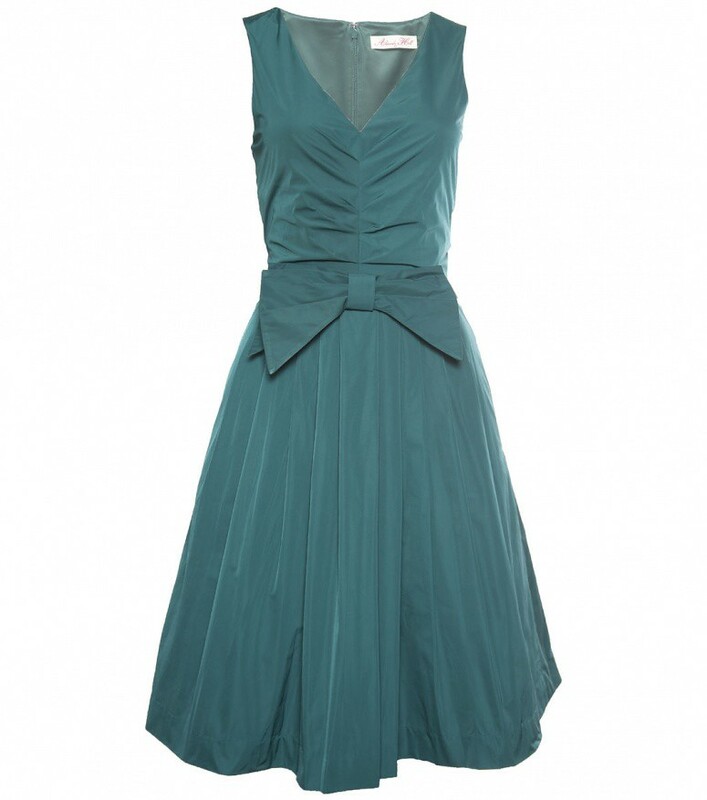 I am so obsessed with this dress right now; I find myself thinking about it at random intervals throughout the day. 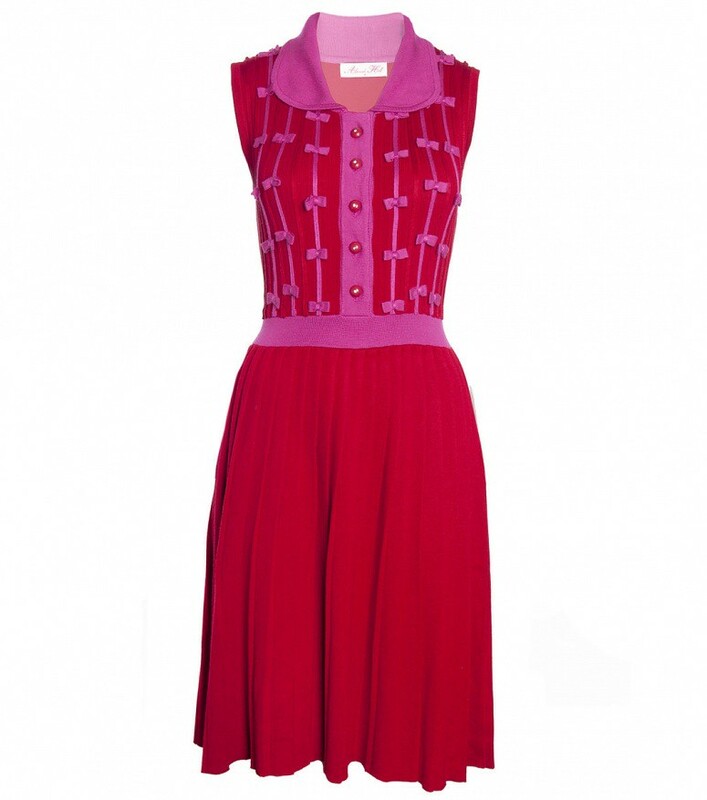 It is perfect and totally my style since it is covered in bows, has a peter pan collar and is red and pink. On Monday, while I was at university, my lecturer told me that he’s noticed I wear a lot of pink and red and that is how he started to recognise who I was each week in class. I never actually realised how much red and pink I wear until that comment but it is true. I’ve been taking note of it more now. It turns out I’ve worn pink and red for the last four consecutive days. The point is that red and pink are completely representative of my style! Also, it is not just the physical appearance that makes this my dress, it is the title too. I am very nervous would probably sum me up in a sentence so it turns out this is my namesake dress too. This dress is just so pretty, beautiful and gorgeous that I’m instantly drawn to it. 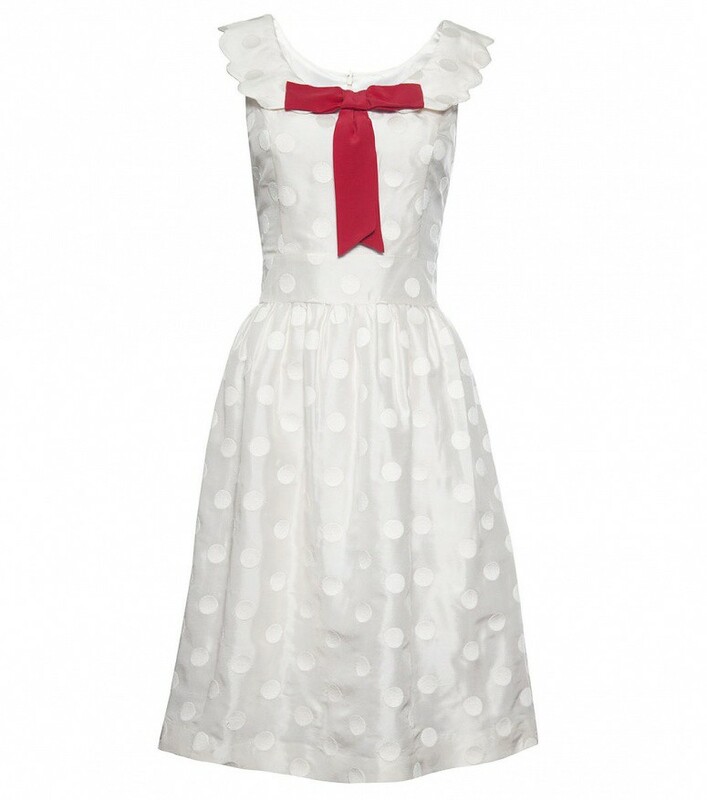 The white is so angelic and adorable and I love the incorporation of the little polka dots and the red bow. The frills and shape of this dress are equally outstanding. I think that my love for this dress stems from the fact that I have very few white clothes. I own a couple of white tops and that’s it. I like white clothes; my lack of them is actually not intentional. Consequently, I would be so happy and excited if I owned this incredible dress. There are no possible words to explain my love for this dress. I’ve felt this way for a very long time now; I’ve admired this dress on Modcloth on multiple occassions. 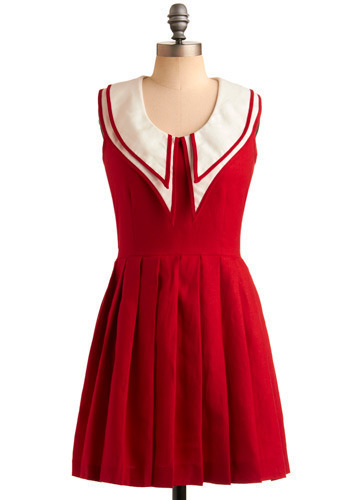 Last year when I made purchased from Modcloth I desperately wanted to buy this too but I simply couldn’t justify the price plus the international shipping charges. I am drawn to this miraculous dress because it is red; as I mentioned above red seems to be my colour. Also, the collar is striking, unique, fabulousand simply perfect. The combination of the collar and the pleats is adorable. Recentlygreen has become one of my favourite colours to wear and I am building up quite a collection of green clothes. You may have noticed this in my recent outfit posts here and here. There is a real element of class, style and sophistication with green. Also, how adorable is the bow which is featured at the front of this dress? A bow can instantly transform an item and make it totally representative of my style. I love the contrast between the girly-ness of an oversized bow against the less girly colour green. While in David Jones yesterday I saw a sale assistant wearing this dress in the Alannah Hill section and it looked amazing. This is what really drew my attention to the dress since it provided an indication of the shape and length of the dress which are certainly features. These are just a few of the dresses I long to own at the moment; my love and desire for dresses is potentially endless but don’t we all feel that way? Alannah Hill is my favourite Australan designer and Modcloth is my favourite international website. I wish you all an enjoyable weekend. Unfortunately it will probably be raining all weekend here. I just want some sunshine so I can take outfit pictures! I really hope this becomes a regular feature on your blog! Dresses are my favourite thing to wear as well! These selections are so pretty. I really love the white dress as well. It's so sweet. These dresses are all so stunning and very you. That white dress is my favourite!!!! I love these dresses so much, they all have a very vintage feel, so adorable! I like them all but the red ones are my fave!! !